A Blue Ocean is a new user experience for Jenkins and provides an interactive view for Jenkins Pipeline and jobs. it reduces the clutter and increases the clarity. Blue Ocean is simple to install and will work on basically any Jenkins 2 instance (version 2.7 or later). Even better, it runs side-by-side with the existing Jenkins web UI - you can switch back and forth between them whenever you like. There’s really no risk. 3. Choose the Available tab and use the search bar to find Blue Ocean. 4. Click the checkbox in the Install column. 5. Click either Install without restart or Download now and install after restart. After you install Blue Ocean, you can start using it by clicking on Open Blue Ocean in the Side Bar of the Jenkins web UI. Blue Ocean does not support some legacy or administrative features of Jenkins that are necessary for some users. If you need to leave the Blue Ocean user experience to access these features, click the Go to the classic icon at the top of a common section of Blue Ocean’s navigation bar. Clicking this button takes you to the equivalent page in the Jenkins classic UI or the most relevant classic UI page that parallels the current page in Blue Ocean. 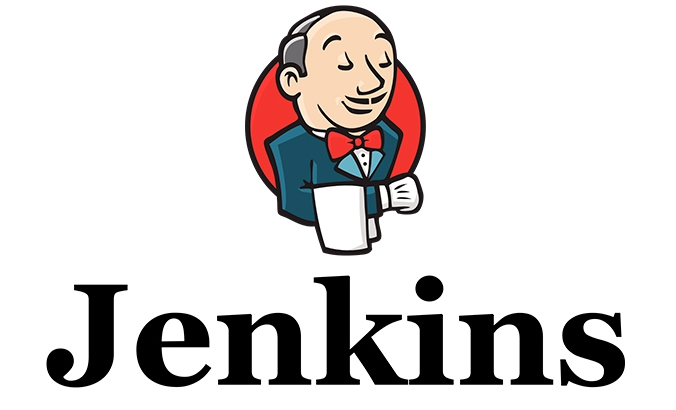 Jenkins is an open source tool with plugin built for continuous integration purpose. The principal functionality of Jenkins is to keep a track of version control system and to initiate and monitor a build system if changes occur. It monitors the whole process and provides reports and notifications to alert. In software development, when multiple developers or teams are working on different segments of the same web application, we need to perform integration test by integrating all modules. In order to do that an automated process for each piece of code is performed on a daily bases so that all your code gets tested. What are the CI Tools? What is the programming language used to build Jenkins? What are the features of Jenkins? Continuous Integration and Continuous Delivery - As an extensible automation server, Jenkins can be used as a simple CI server or turned into the continuous delivery hub for any project. Easy installation - Jenkins is a self-contained Java-based program, ready to run out-of-the-box, with packages for Windows, Mac OS X, and other Unix-like operating systems. 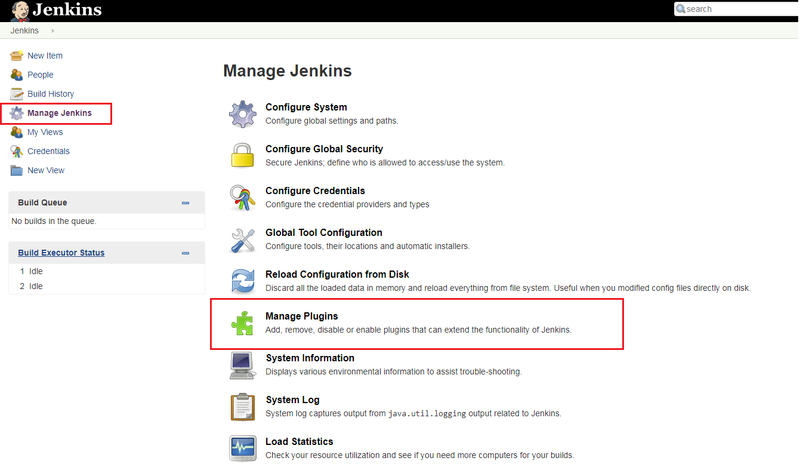 Easy configuration - Jenkins can be easily set up and configured via its web interface, which includes on-the-fly error checks and built-in help. 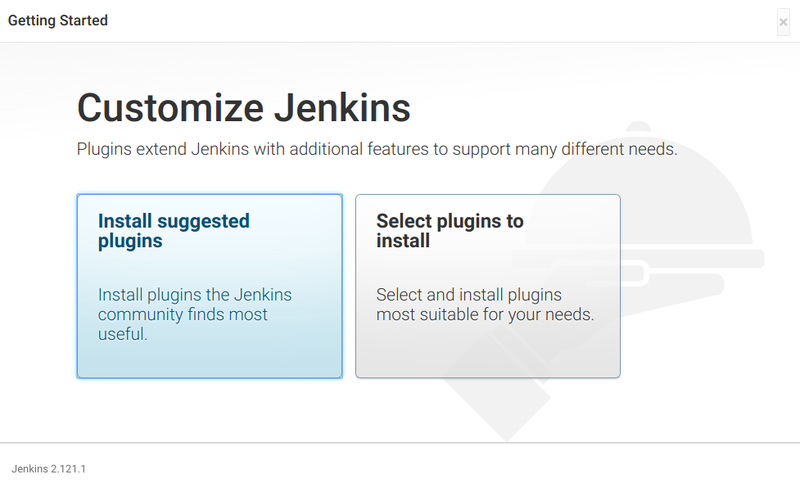 Plugins - With hundreds of plugins in the Update Center, Jenkins integrates with practically every tool in the continuous integration and continuous delivery toolchain. Extensible - Jenkins can be extended via its plugin architecture, providing nearly infinite possibilities for what Jenkins can do. Distributed - Jenkins can easily distribute work across multiple machines, helping drive builds, tests and deployments across multiple platforms faster. How you can move or copy Jenkins from one server to another? Make a copy of an already existing job by making a clone of a job directory by a different name. Renaming an existing job by renaming a directory. Some of the useful plugins in Jenkins? How you can deploy a custom build of a core plugin? To create a project that is handled via jobs in Jenkins. Select a New item from the menu, once this done to enter a name for the job and select a freestyle job. Then click OK to create a new job in Jenkins. The next page enables you to configure your job. Jenkins Pipeline (or simply "Pipeline") is a suite of plugins which supports implementing and integrating continuous delivery pipelines into Jenkins. A continuous delivery pipeline is an automated expression of your process for getting software from version control right through to your users and customers. What is Jenkinsfile and what it does? The definition of a Jenkins Pipeline is typically written into a text file called a Jenkinsfile which in turn is checked into a project’s source control repository. What is the difference between Poll SCM & Build Periodically in Jenkins? The primary difference between triggering a build periodically and poll SCM is, with Trigger Builds Periodically will trigger builds as per the schedule (i.e. every 10 minutes) even if you haven't changed anything. Poll SCM will check for changes before triggering any build, if there are changes to the previous version there only build will be triggered. How will you secure Jenkins? Ensure that Jenkins is integrated with my company’s user directory with the appropriate plugin. Ensure that the matrix/Project matrix is enabled to fine tune access. Automate the process of setting rights/privileges in Jenkins with a custom version controlled script. I will open the console output for the broken build and try to see if any file changes were missed. If I am unable to find the issue that way, then I will clean and update my local workspace to replicate the problem on my local and try to solve it. What are the various ways in which build can be scheduled in Jenkins? What is Blue Ocean in Jenkins? Blue Ocean is a project that rethinks the user experience of Jenkins, modeling and presenting the process of software delivery by surfacing information that’s important to development teams with as few clicks as possible, while still staying true to the extensibility that is core to Jenkins. CI or Continuous integration is being adopted at a very high pace to streamline the build time & testing. To implement the CI, there are many tools available but the Jenkins lead the pack. In this tutorial, we will learn to install Jenkins on Tomcat server. 1- We need to have Java installed on our machine. install java on CentOS/RHEL & on Ubuntu. 2- We will also to have Apache Tomcat installed on our system. Install Tomcat. Now we need to copy this file to webapps directory located in Tomcat home. So if you have tomcat installed in opt directory, then run the following command. With this step, a process to install Jenkins on tomcat is now complete. All we have to do is to start the tomcat server. Start the tomcat server. After the server has been started, check if the Jenkins is working by visiting the following URL from the browser. We will have to configure the Jenkins server now. 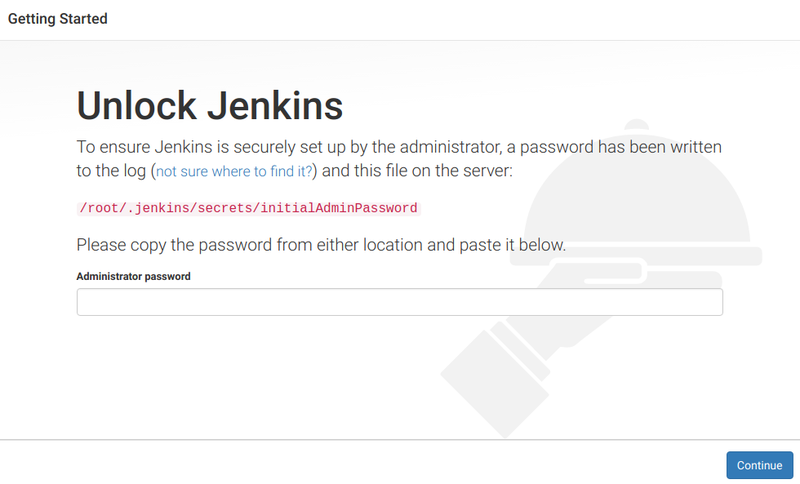 As mentioned on the webpage, we can find the admin password from location /root/.jenkins/secrets/initialAdminPassword. Get the password with the following command. Copy it to the webpage and press Continue. Here it asks for install plugins please select whatever you want. Now complete the setup by filling out the required details. After the setup is complete, we can access jenkins and can also create new jobs on the jenkins server.